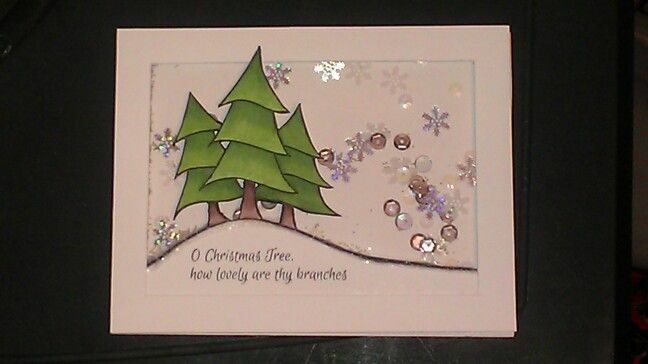 Just a quick little post to show some cards that I made featuring a stamp set from Neat and Tangled called Winter Trees. 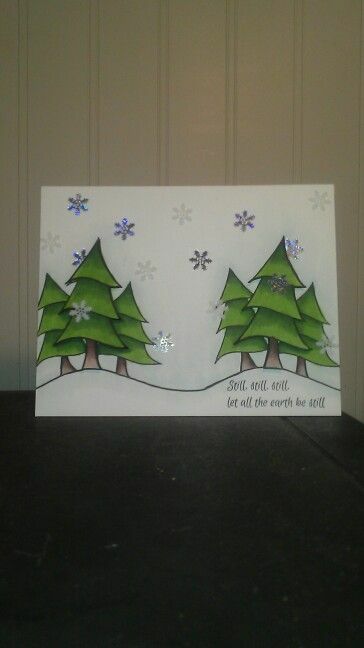 I absolutely adore the trees and sentiments in this set. I just started out stamping the image to color it just for the fun of it. Ended up turning it into a shaker card and I plan on linking it up to the challenge over at Moxie Fab World. Second card wasn't as time consuming.. I was so excited to sit down and use my new stamps, and to use the snowflake sequins that I bought at work last year and hadn't used! I'm sure to use this set a few more times before winter is over and probably through out the year without the sentiments. Thanks for stopping by! Have a great day and stay warm!